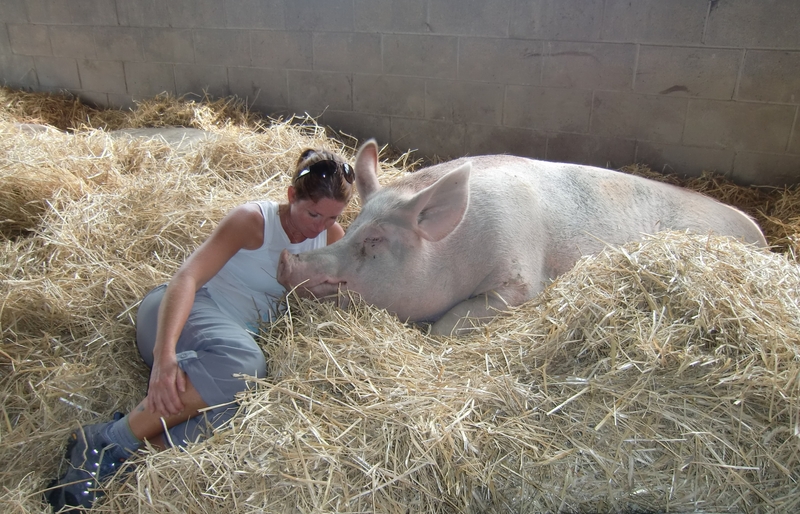 A visitor making friends with a rescued pig at Farm Sanctuary in New York on August 1, 2010. This past weekend, I took my son (age 7) to the Hoe Down at Farm Sanctuary in upstate New York. It was a captivating, fun-filled couple of days that included visiting rescued factory farm animals, close to 300 people (mostly vegans), internationally renowned speakers, authors, cooks, activists, delicious vegan food and a party. These are some photos from the visit. 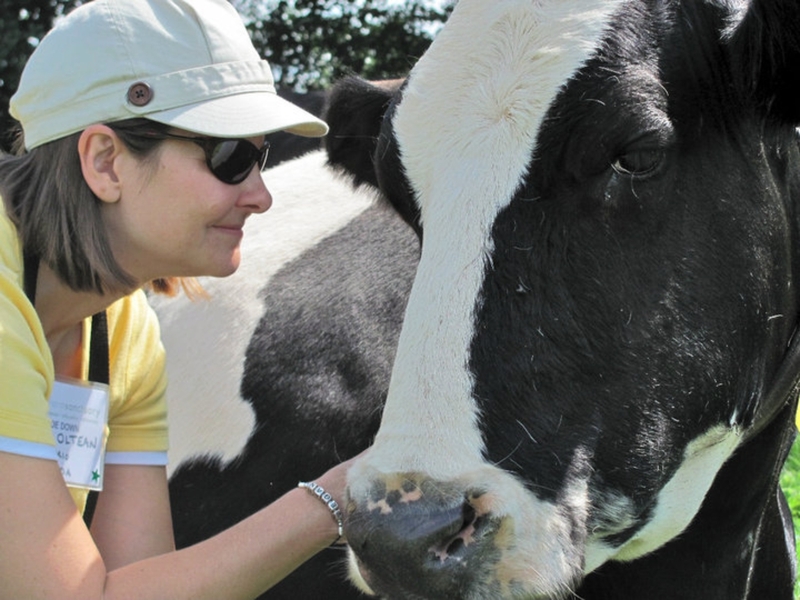 Farm Sanctuary is unique in that it is the perfect place to bring your friends and loved ones to experience meeting animals who have suffered at the hands of the legal practices of the agricultural industry in the United States. These lucky few rescued animals were saved from a life of cruelty and slaughter. 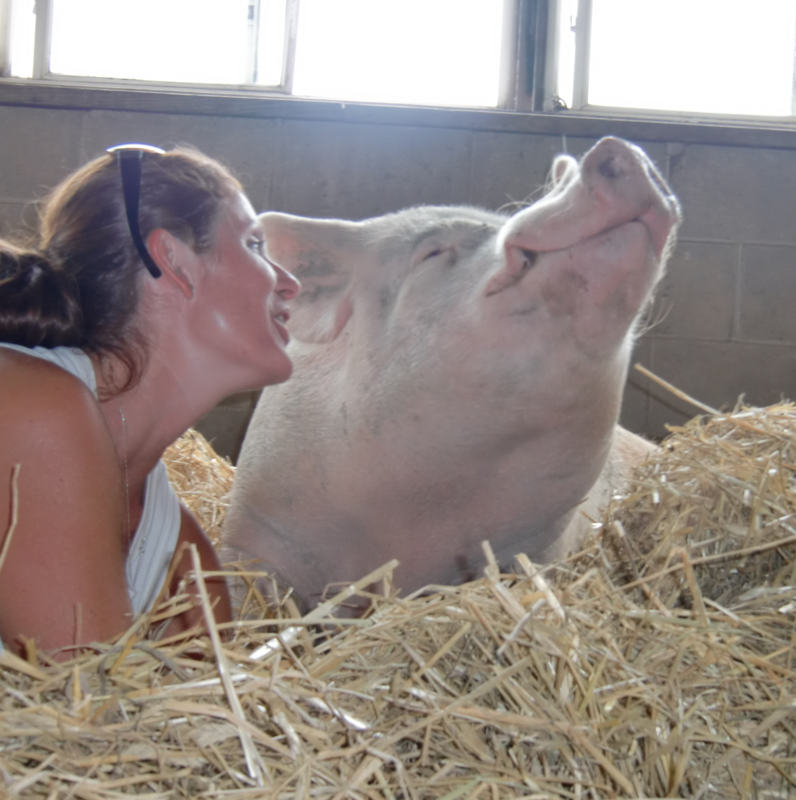 I cannot overstate the transformations that I have witnessed when people meet the animals and hear the actual stories of what these innocent creatures, most of who were in factory farm settings, have been through. 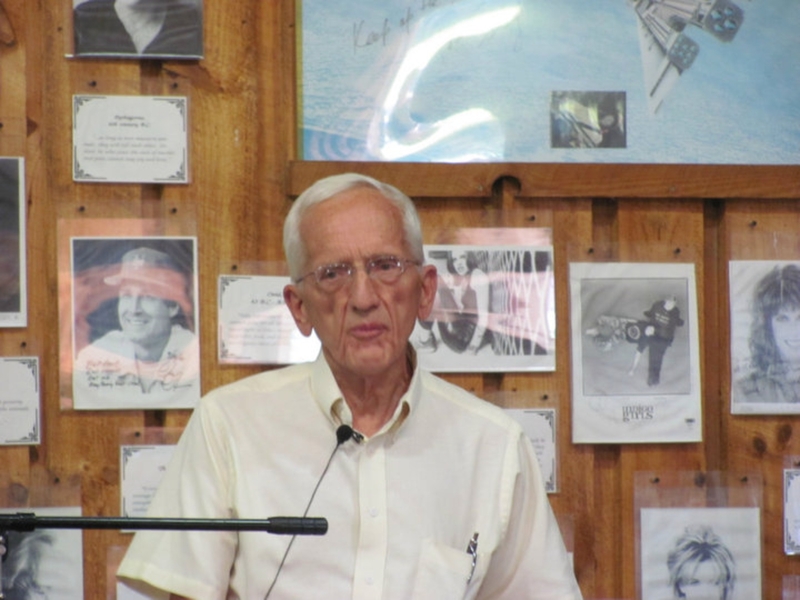 When people see how they are often crippled, disfigured and notice that portions of their bodies were mutilated or removed, it moves the spirit to see how forgiving and welcoming of human interaction animals can be. A tiny piglet fell off a transport truck in South Dakota at the end of July. She was lucky enough to be rescued by a rock band who found her in the road. She is now safe and sound at Farm Sanctuary in New York. 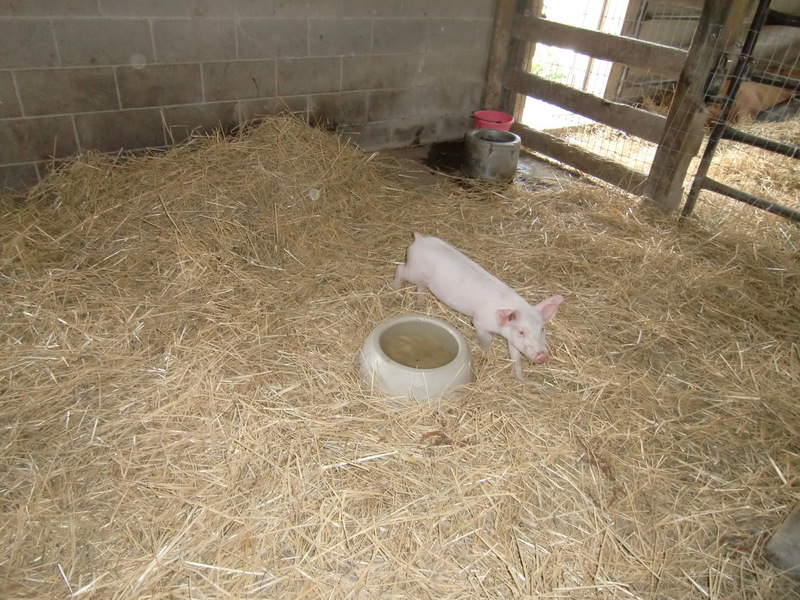 Sweet, rescued piglet age 6 weeks. Not everybody is fortunate enough to live near one of the Farm Sanctuary locations where the Hoe Downs occur once a year in both California and New York. 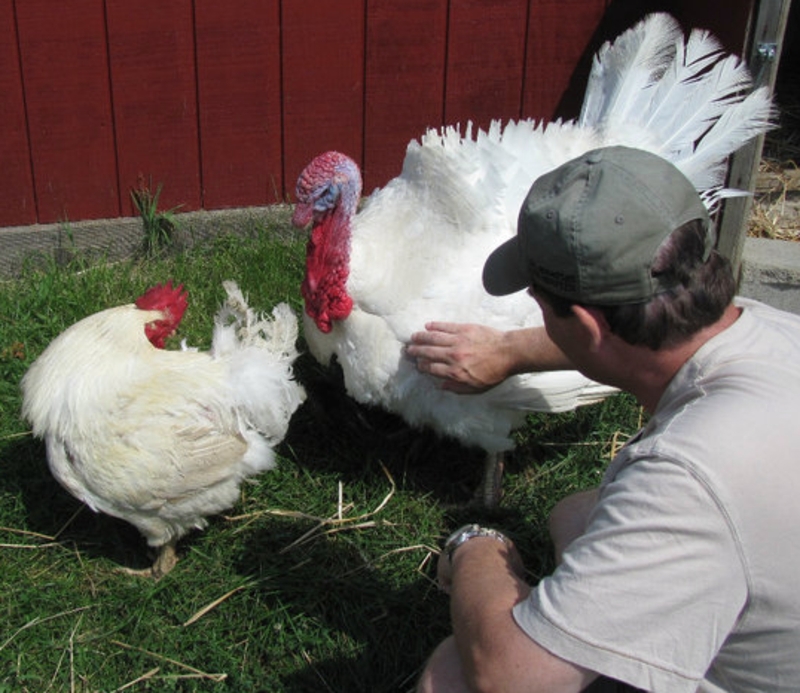 The good news is that from May through October, each sanctuary is open to visitors and they do have other events that can be attended, such as their Celebration for the Turkeys in November. They also have a bed and breakfast available at both locations and you can go on farm tours to meet and learn about the animals. 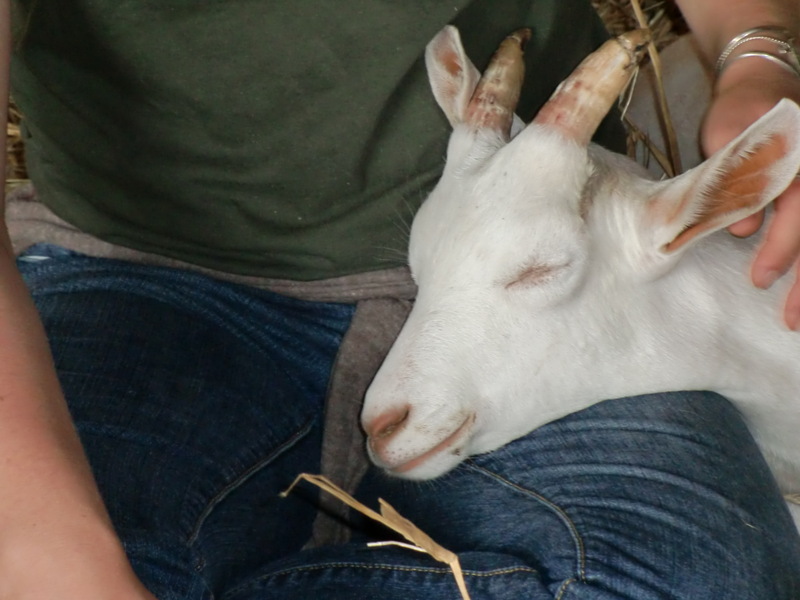 Bring your friends and loved ones to a Farm Sanctuary location when you get a chance. It is an excellent way to touch the hearts of most people, who have little to no experience of how factory-farmed animals are meant to live. To make a donation to Farm Sanctuary go here. My heart is warmed from the pictures in your article. I love the story about the rock band finding the lost piglet. Thank you for opening my eyes as to how to share this with my family.